Editor’s Note: Week 3 fantasy football games storylines are plentiful. To put them in perspective, we brought in a pro’s pro, Nik Ebert, to highlight the information you need to know to stay on top of your league. 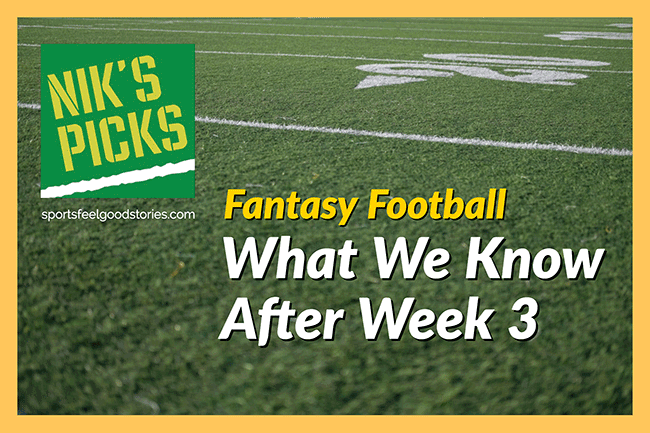 With still so much of the 2018 NFL season story yet to unfold, the conclusion of week 3 of fantasy football brings with it a roller coaster of emotions both high and low for team owners. Fantasy players far and wide are experiencing similar feelings. Your first round selection is crushing it – see Todd Gurley or Alvin Kamara – and shimmering glimmers of championship trophy glory seem a sure thing. Or panic and disaster – Le’Veon Bell or Leonard Furnette – have left your running back slot crashing into the league cellar of overall points. The above names pinged consistently throughout the first two rounds of nearly every fantasy draft. That goes to show how much of a crapshoot fantasy drafts for the NFL can be. 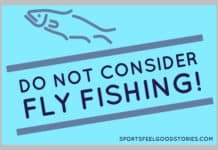 This is where weekly attentiveness and a keen eye for an under the radar waiver wire additions can make the difference between a middle of the pack finish and a smile inducing, and sometimes wallet thickening, championship run for eternal bragging rights amongst your friends. This fantasy overview series will be reoccurring throughout the season and aims to provide a recap of high and low performing players, predictions, and league wide tidbits. Following the recent trend of year two starting quarterbacks ascending to Pro Bowl status like Carson Wentz and Jared Goff (check out fantasy football names for Jared Goff), the Chiefs new rocket-armed quarterback Patrick Mahomes is making his case to be included amongst the pigskin throwing elite. And oh what a start to the season it has been! A record setting 13 touchdowns through the first three games, Mahomes has yet to be intercepted and has shown excellent mobility and accuracy on the run. With the extremely leaky Chiefs defense keeping games close throughout the season, expect Mahomes attempts and jaw dropping throws to continue on his way to claiming the AFCs top quarterback spot behind the GOAT living in Foxborough. New York Giants Running Back: Saquon Barkley. – 353 total yards, 21 catches, 2 TDs. Although his average fantasy draft position highlights the fandom Saquon Barkley is facing in the bright lights of New York, he has done nothing but exceed expectations. Showing a stop and start ability that few have ever possessed, Barkley’s big play ability has shone. The incredible pass catching skills that cemented his stock as the #2 overall draft pick have been demonstrated with 21 catches already, on pace for 112 which would break Matt Forte’s record of 102. Durability which such high usage rate is the only remaining question for a long season. – 398 yards, 38 receptions, 3 TDs. Catching an incredible 95% of his targets, Michael Thomas has an NFL record 38 receptions through 3 games. On pace for 202 catches, his current trajectory would shatter the record of 143 held by Marvin Harrison. Expect defenses to start double teaming the Ohio State standout but the catches to continue to pile up with his Hall of Fame quarterback consistently looking his way with no other dominant wide out on the roster. The polar opposite style of the above Saints WRs possession strength, Hill has electrified the league as a dynamic play maker. His new strong armed quarterback has opened possibilities very players could make possible (think Devin Hester wearing Red) and Hill has torched the league for a whopping 22.1 yards per catch. Make sure the popcorn is ready every Sunday when the Chiefs kickoff. Check out 10 Reasons to Love Fantasy Football. The age old debate of whether a stagnant offensive unit can cripple a player’s season or if shear talent is enough to overcome. Except for the rare exceptions of a Walter Payton or Barry Sanders, running backs are generally tied to their quarterback play. Get a subpar one and face eight defenders in the box and many hours in the postgame ice tub. So far that has been the fate of David Johnson. An extremely talented player, and on average top 10 fantasy selection, Johnson has found no running room and is averaging 3.4 yards per carry. With rookie quarterback Josh Rosen still extremely raw, the fate of the Cardinals offense will rest squarely on Johnson’s shoulders. See all of the above and apply it to McCoy. Despite the survivor league ruining and utter dismantling victory over the Minnesota Vikings on Sunday, the reality is still a Buffalo offense lacking any playmakers at the skill positions, a weak offensive line, and a rookie quarterback from Wyoming. Add the cherry on top that McCoy has suffered broken ribs and his season’s outlook is as dreary as the Bills end of year record. As if Le’Veon Bell’s decision to sit out games while completely healthy due to a contract dispute didn’t garner enough negative reception from his home fan base, his incumbent backup is none other than a Pittsburg legend. While at the University of Pittsburg in 2015, James Connor was diagnosed with Hodgkin Lymphoma while recovering from a torn MCL. Fast forward and he is the Pittsburg Steelers starting running back with 352 total yards and 3 TDs. An incredible story of dedication meeting opportunity. Bell may need to reconsider his contract stalemate asap or risk losing his job. Suspended for the first 3 games due to a 2016 off the field incident, the 2015 first overall draft picks tenure as the starting quarterback of the Tampa Bay Buccaneers is now in jeopardy. In a situation where most fans thought the backup Harvard product would be a temporarily place holder until Winston’s return, all Fitzpatrick has done is lead the league in passing yards with 1,230 while tossing 11 TDs and a 2-1 record. Armed with several explosive wideouts and a favorable schedule, the Fitzmagic carpet ride should continue onward and Jameis may find himself becoming all too comfortable on the pine. There are several reasons to sell high on “Crow”. First off, Bilal Powell is a more than solid time sharing back and is expected to split carries as long as healthy for the rest of the year. Second, despite having about half the carriers as the leading RBs, Crowell is tied for the league lead with 4 rushing touchdowns. Throughout a long season similar goal line opportunities will ebb and flow on recipients, try selling for a more consistent commodity with your league mates. Although his numbers as a whole are far from subpar, the general perception to the football spiking tight ends start has been underwhelming. Just like the Patriots as a team, expectations are always championship or bust. If Gronk continues the slow start it is a great time to try and buy low on the bruising TE. Owners may panic if the Patriots continue to struggle on offense. Health is always the ultimate risk with Gronk, but if you can stomach the chance of missed games there has never been a better time to siphon the perennial early round fantasy pick. – 22 targets is 3rd amongst TEs. When surveying potential waiver wire pickups, a key stat to look for is the player’s targets in the passing game. A higher volume shows confidence in the player from the coaching staff and that results should follow. Jared Cook is an excellent example of someone to pickup if your tight end position has been underperforming. Despite not scoring yet, if Cook continues to receive top 3 target volume at tight end his big athletic frame will lead to more red zone scores. The speedster out of Kansas State had shown flashes during his first three seasons in the league but needed a shift in offense play calling to truly jump to the next level. Luckily for Locket, the Seahawks have been more than accommodating. Not only have they shifted from the power run days of Marshawn Lynch to a league silver ranking of 34 passing touchdowns last year, their pro bowl wideout Doug Baldwin is out with a balky knee. Locket has thrived as the Seahawks main target and should continue to put up big numbers as he gains more chemistry with his quarterback Russell Wilson and is only owned in 70% of leagues, scoop him if available. Roughing the passer penalties… On pace for 16 flags. Matthews had only committed 4 roughing penalties in his ten year career prior to this hot streak. What a mess the new rule has been as its left fans scratching their heads over what constitutes a penalty these days. That, or the officials are jealous of his long flowing locks. Like a fine wine, Drew Brees keeps getting better with time. Last year, at age 38, the Purdue Boilermaker set the NFL single season completion mark at 72%. Through three games he is 104 of 129. There you have it. Look for Week 4 to reveal more ups and down in fantasy land. You’re on the Week 3 Fantasy Football Update.